Back in May I shot the Cleveland Rite Aid Marathon and posted some photos of runners refreshing themselves by splashing water on their faces while passing a water station. During earlier parts of the marathon I had a rare chance to shoot some photos of shipping on the Cuyahoga River from atop the Rt. 2 Shoreway bridge over the river, a highway not normally accessible to pedestrians. In my last post, shots of the city skyline at night, I mentioned shooting some of the city’s bridges from the charter boat while traveling near and under them. Here are some of those photos. 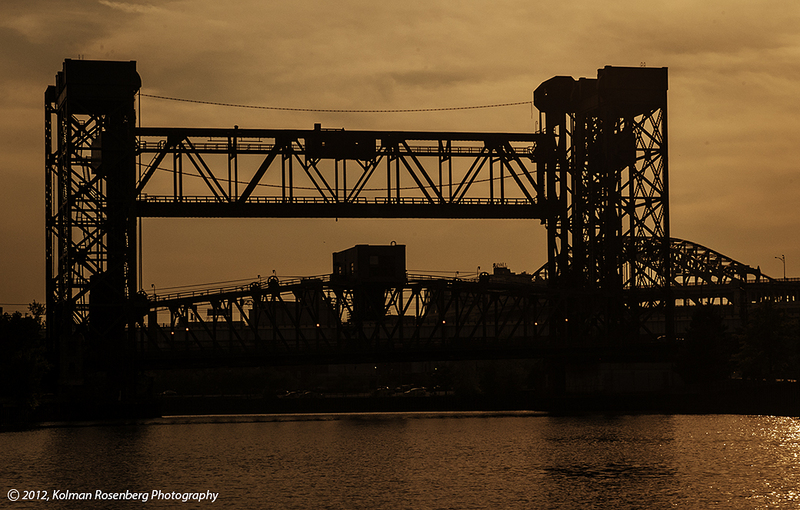 This first shot is one of Cleveland’s railroad lift bridges at sunset. Though the sky was turning orange, this photo is enhanced to increase the hue of the sunset sky. Later in the evening, returning up river to the dock, the boat trip offered some beautiful shots of some of the bridges as they are appear under artificial and natural lighting. 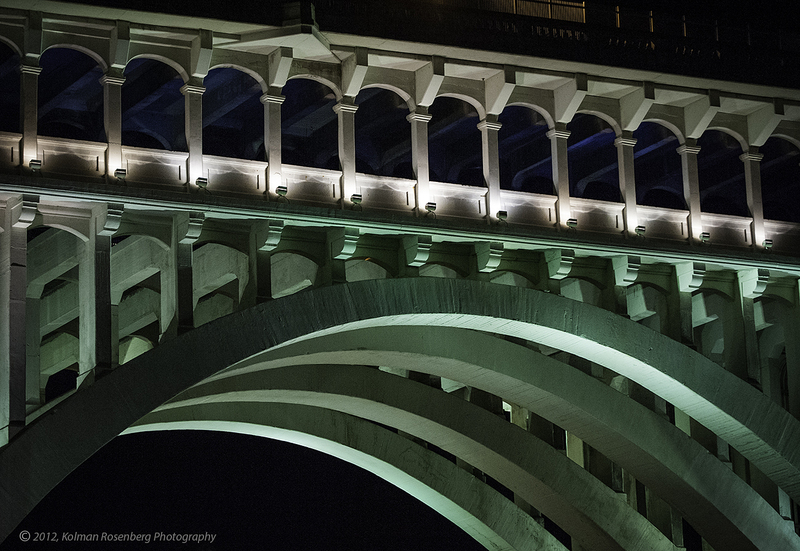 The Veterans Memorial Bridge (formerly Detroit Superior Bridge) is particularly beautiful with its arches and lighting scheme. The Center Street Swing Bridge is quite unusual as it swings to the west side of the river to allow boat traffic to pass. It too is lit beautifully. I got several shots of it in various degrees of swing but this shot seemed to show the entire swinging portion of the bridge from one end to the other. 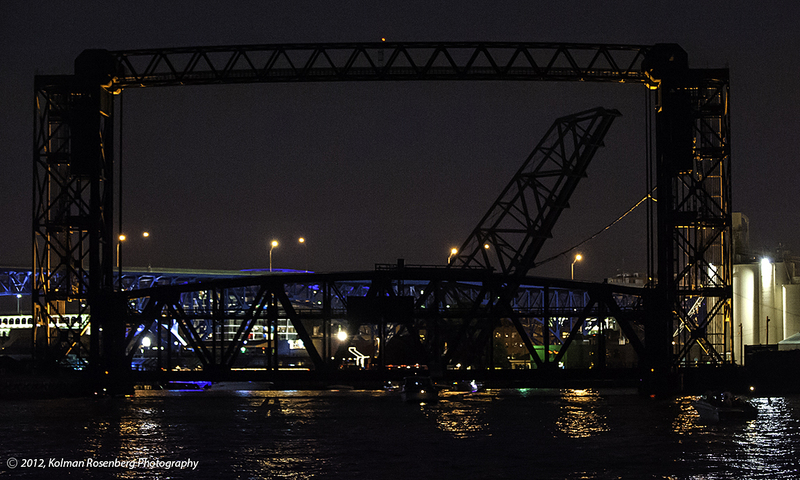 This final image shows at least 4 of the bridges from foreground to background, that cross the Cuyahoga. The last 3 of these photos, all taken after dark, were somewhat challenging. Because the boat was moving and it was dark, they all required that my camera be set at an ISO of 6400 so that I could use a fast enough shutter speed to freeze any motion due to my movement as well as boat movement. I was pretty happy with the results! 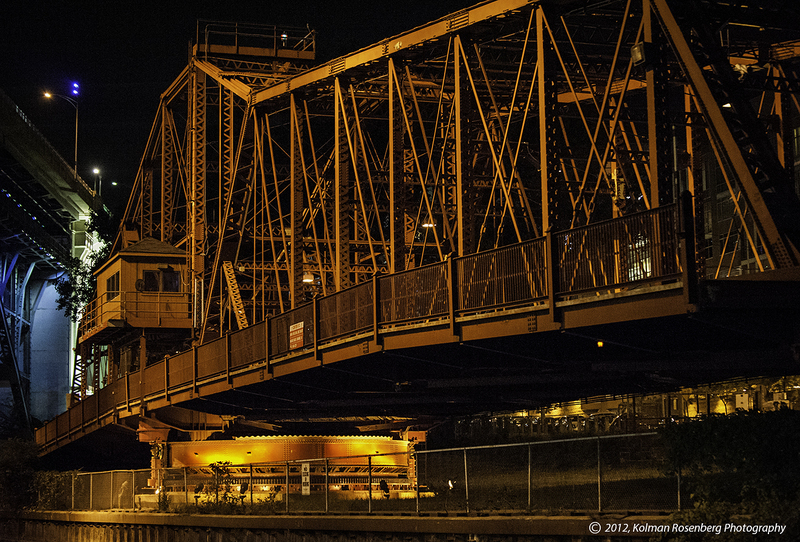 This entry was posted in Uncategorized and tagged barge, Bridge, center street swing bridge, Cleveland, cuyahoga, high iso, lift bridge, low light shooting, OH, ohio, photography, River, swing bridge, tug, veterans memorial bridge. Bookmark the permalink. Gorgeous. 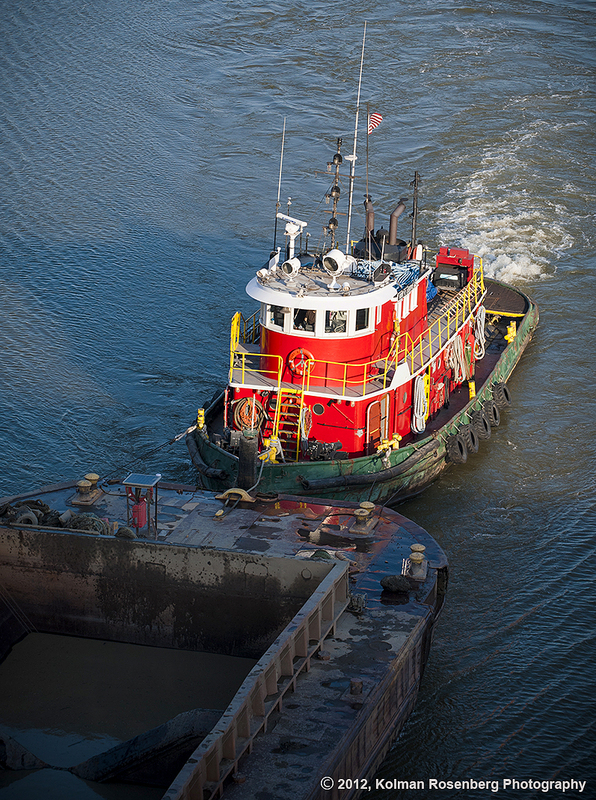 The tugboat photo is so colorful. All the shots are great (as always), but the Veteran’s Memorial shot is fantastic! Great work. Thanks Bob! It placed in the club competition last Friday night and the commenting judge recommended that I try it in B&W. It does have a nice range of tones so I will have to do that!